Kiss me, I’m Irish! Or don’t. Whatever. 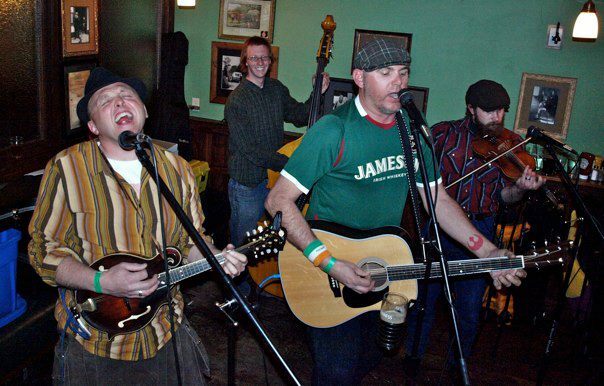 But remember: St. Patrick’s Day is right around the corner, and there’s no better way to kick off March Madness (a different kind of madness) than with the Durango Celtic Festival this weekend. The festival gets in full swing Friday night and runs through Sunday, March 9. Catch some concerts or kick off the weekend — kind of literally — with a Ceilidh Dance workshop followed by some Irish Soft Shoe lessons. The weekend lineup includes more than a dozen bands and musicians that will be performing at two venues: Henry Strater Theatre in the historic Strater Hotel and the Irish Embassy Pub. Colcannon — A five-piece band that first got together in 1984 in Boulder, Colorado. They describe their sound as “authentic, joyous, Irish music … that transports the audience to another time and place.” Fun fact: The band only tweets in haiku on its Twitter feed! Tramor — The new Welsh American Acoustic Project of John Good, formally of Oceans Apart, and harper extraordinaire John Piggott. Good is a native of Wales and is a well-known Welsh piper, singer, songwriter, composer and storyteller. Willson & McKee — Kim McKee and Ken Willson combine their voices with Celtic harp, accordion, mountain dulcimer, Irish bouzouki, bagpipes and more to create Rocky Mountain Celtic music. Those are just a few of the bands that will perform throughout the weekend. Other events include music and dance workshops about flute, fiddle, mandolin, Celtic guitar, Sean-nos singing, and bodhran, a traditional drum. Sunday also includes a storytelling event, and the festival will wrap up with an open jam session, Irish style, at the pub. Weekend passes to all events are $35, less for one-day passes or for select concerts and events. Check out the Durango Celtic Festival website for more details.